Baobab+ offers a progressive path for rural customers to access Tier-2 energy and productive appliances. Our business model is unique to the off-grid and African market, due to exclusive distribution agreements and various partnerships, including with the Baobab Group, a leading microfinance institution. Once our customers are equipped with clean and reliable energy, then can benefit from financial and digital inclusion. 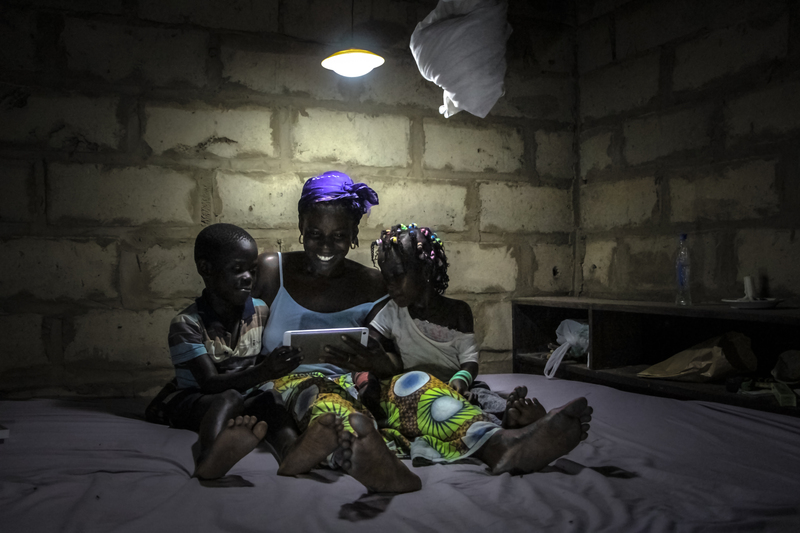 While entry-level SHS are easily financed through household energy savings, bigger solutions leading to more productive use remain out of reach. To avoid the risk of indebtedness, these products will have to be financed by new revenue-generating activities (hair or beard cutting, sewing workshop, phone charging and food preservation, irrigation..), to match the needs of farmers or small entrepreneurs and enable them to pursue economic development. Our ambition is to support Bottom Of Pyramid rural households and entrepreneurs, with innovative products and solutions to help them unleash their potential in order to achieve a more prosperous future for their families. Through our energy offer they will access a safe, clean and reliable source of energy. Digital inclusion will help them manage better their business, our Business Tablet is helping entrepreneurs to manage their sales, stock, or client credit. We are currently working on three major initiatives: e-health applications to help sensitize rural populations; e-agriculture (with weather and market data) to help farmers save time, money and improve their productivity; and e-learning at all stages of life. Finally, financial inclusion will support their business growth / development. 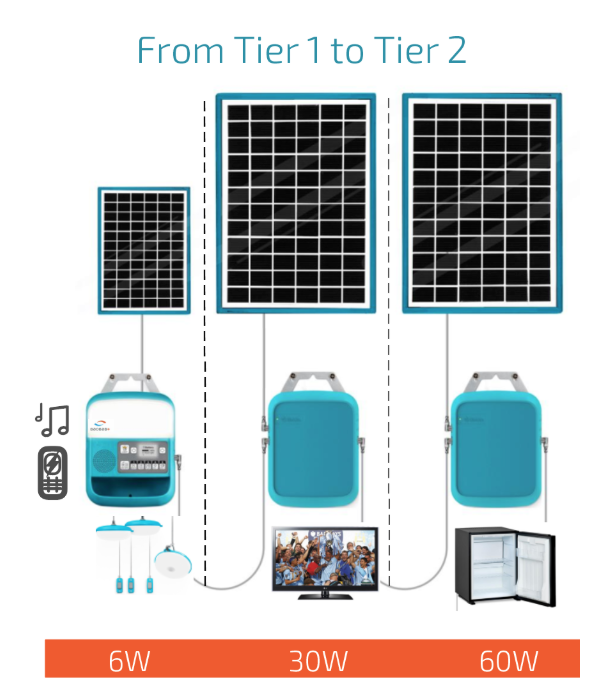 In under 3 years, we have rolled out our products in four countries (Senegal, Madagascar, Mali and Ivory Coast) and have equipped over 125,000 homes (combination of pico, lanterns and SHS/SHS TV, including 25,000 PAYG SHS clients). In 2019 we plan on scaling up to a 5th country. Since June 2018, in Senegal, our PAYG clients who became owners of their solar product, are eligible for digital loans. To confirm that selected products match target customers’ needs and revenues.